The president was clearly shaken and didn’t even bother trying to hide it. Rep. Brad Sherman torched the president’s lapdog in his comments to the media. 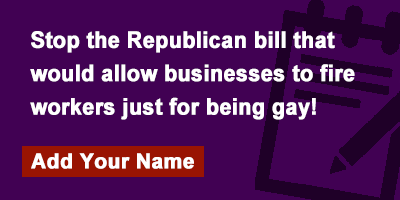 Take Action: Help fight homophobia in our communities. Read this guide on 10 ways you can support gay rights. Wind turbines do not cause cancer. But pollution from the fossil fuel industry does. 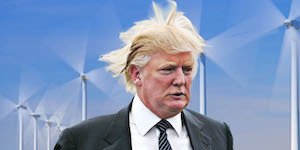 OD Action Pick: Do your part to save the planet and support clean, renewable wind power at home — even apartments — at no cost. Plus, receive 4 free LED light bulbs as a thank you. 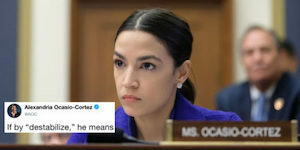 He whined about what it would do to his profits, so she took him to the woodshed. 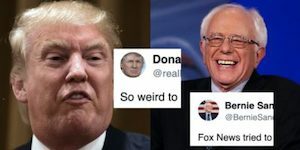 Take Action: Sign the petition to reject Trump’s draconian buget that steals from education and Medicare to the rich and build his stupid wall! 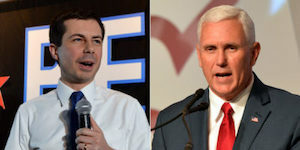 The feud between the Indiana mayor and the Vice-President went viral with this powerful response. Trump vetoes a measure that would have cut off U.S. military support for the Saudi-led campaign in Yemen’s civil war, rebuking Congress for a second time this year. Brian Kilmeade took his Trump worship to a disgraceful level with his take on the disaster. 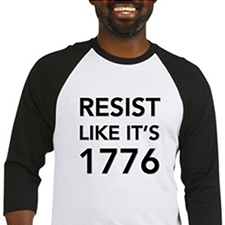 OD Action Partner: Use Code FREESHIP419d06689 at Resistance Merch through May4th for free shipping on shirts, mugs and more. The 2020 Democratic presidential contender says her administration would focus on building new renewable energy projects on public lands. Last year’s battle for Net Neutrality is back on the table. In case you need a refresher, Federal Communications Commission (FCC) Chair Ajit Pai ignored overwhelming bipartisan outcry and removed Obama-era net neutrality protections last year, flinging open the doors for four massive telecom corporations to censor the web and raise prices for consumers. Trump won that battle – but the war is not over. House Democrats have passed a bill to restore Obama’s protections for consumers and independent voices. It now heads to the Senate for a vote. Call or email your Senators, and ask them to support the Save the Internet Act of 2019 to restore Net Neutrality. Already cosponsored? Thank them! With a new scandal rocking Trump’s White House seemingly every day, it’s easy to forget some of the egregious acts of Trump and his enablers in Congress. But we can’t afford to forget — especially when it comes to Net Neutrality, because exploitation and manipulation of the internet is one of the big reasons we have President Trump right now. This isn’t just about streaming our favorite shows (it’s about that too). Without net neutrality, every consumer can and will lose as corporations determine what we consume. It’s a new normal that could have devastating consequences on independent voices and give Trump leverage to silence his critics. 83% of voters support net neutrality, including 75% of Republicans. 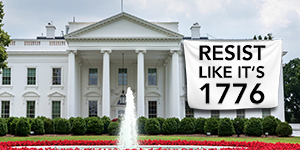 Republican Senators especially will need to hear this statistic on repeat in the coming weeks. Email or call (202.224.3121) your Senators and demand they support Net Neutrality by cosigning and passing the Save the Internet Act of 2019. Remind them that we vote them into office, not telecom corporations – and we can vote them out. 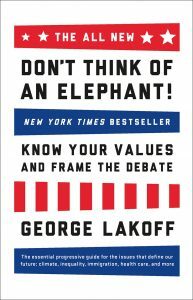 PS — Please don’t forget to sign the petition to stop the Republican bill that would allow businesses to fire workers just for being gay, and check out the brilliant “Don’t Think of an Elephant” by George Lakoff — a quick read that contains the ultimate keys for Democrats to win elections — and arguments.